Our UPVC french doors are built from the highest quality hardware, glazing and locks as well as offering superb value for money, with free fast delivery. We also offer Composite French Doors and Aluminium French Doors as an alternative. Prices starting from only £630.00 All our prices include VAT Delivery is FREE! 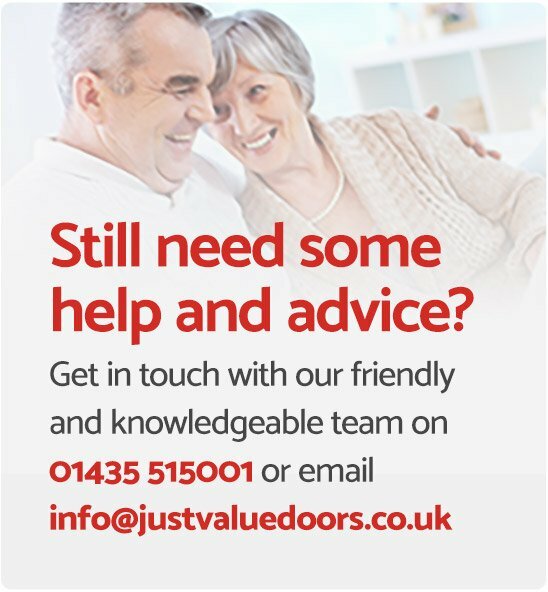 At Just Value Doors we understand external French doors: we know what it takes to build a high quality french door that will last. We also understand that you want to make the "right" decision when buying made to measure french doors. Our exterior french doors are built to last and have a life expectancy of over 35 years! 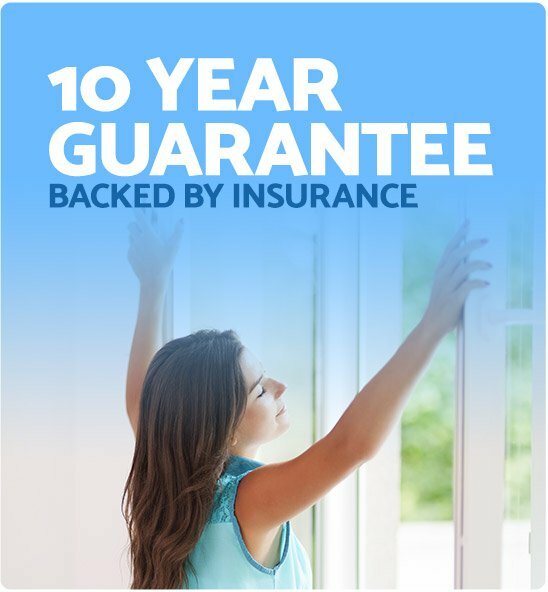 They also come with a full 10 year guarantee so you can rest assured you're making the right decision with Just Value Doors. Our French door reviews speak for themselves. If you've been shopping around for double glazed French doors for a while, you may have found that French door prices can vary from one company to another. If you're searching for cheap French doors we offer excellent value while not compromising on quality. We take French door security very seriously by using a high quality multi point locking system. The French door lock uses shoot bolts at the top and bottom securing the doors to the outer frame, as well as hooks and rollers that lock the double French doors together. As a company we are confident our UK uPVC French doors are some of the most secure French doors on the market, with toughened safety glass, a multipoint locking system and a fully reinforced outer frame all as standard. 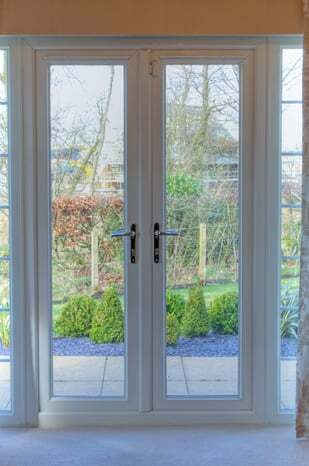 How do french doors external operate? 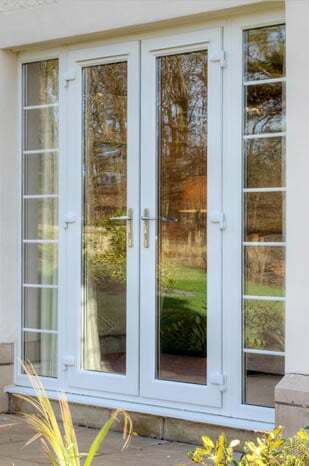 uPVC French doors operate by using a "master door" and "slave door". The master door will always open first and be locked to the slave door. Then if required, the slave door can be opened, with closure being done in reverse. 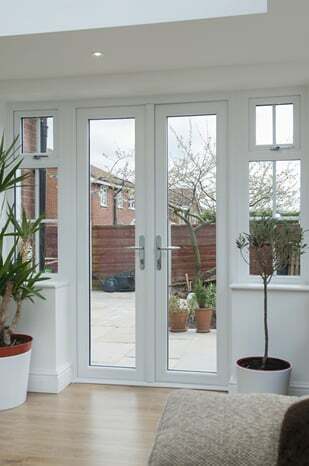 UPVC French doors with sidelights are available and can fill a width of up to 3400mm.Windows above the door are also possible and these can be supplied as one unit if required. French doors with side windows and even opening windows can be quoted and ordered online, just select a style from above to get started! We offer triple glazed French doors, upgrading the glass used to A-rated. In addition there is also the option to select a thermal upgrade to increase the glass energy efficiency still further. 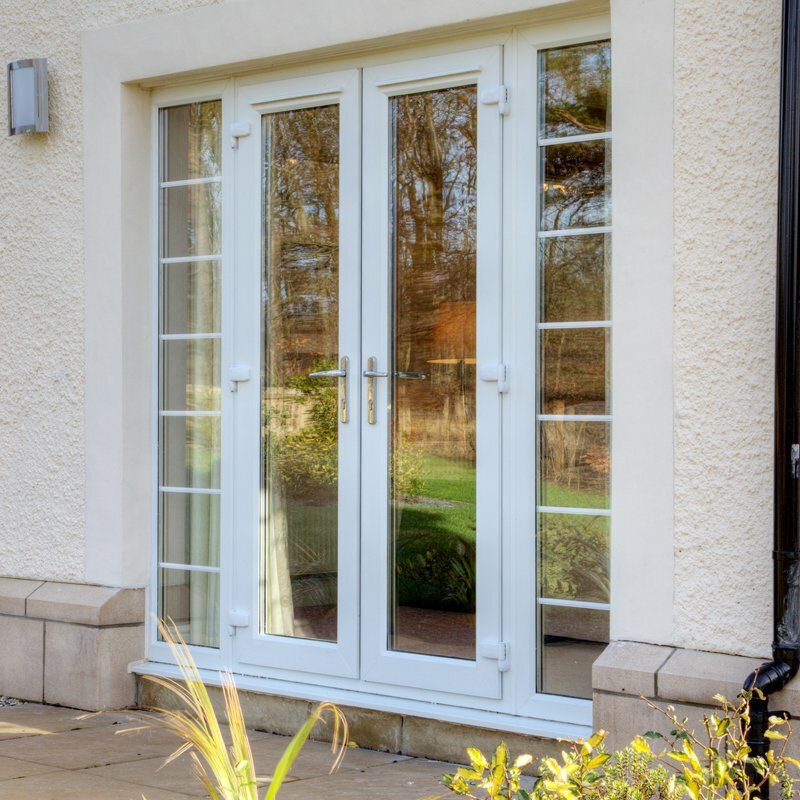 Using these options together will give an extremely energy efficient set of PVCu French doors. How will my french patio doors arrive? The following will only apply for DIY French doors ordered as "supply only". 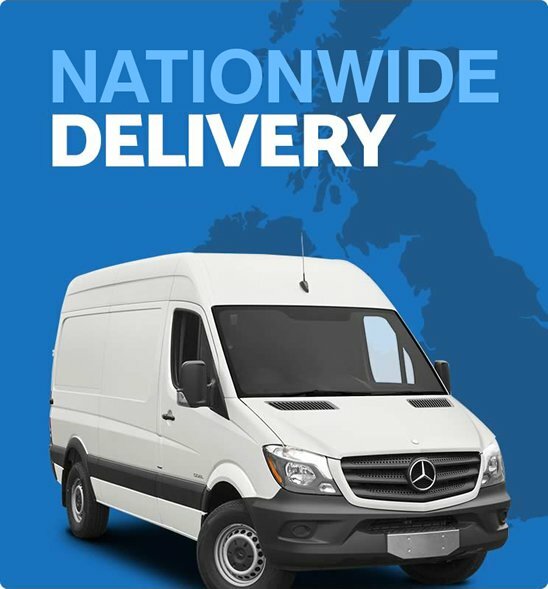 If you use our fitting uPVC French doors service it will arrive with our installers and you needn't worry. The PVC French doors will arrive pre-hung in the outer frame and be ready to fit. Only the glass units will be separate for installation and transportation reasons. 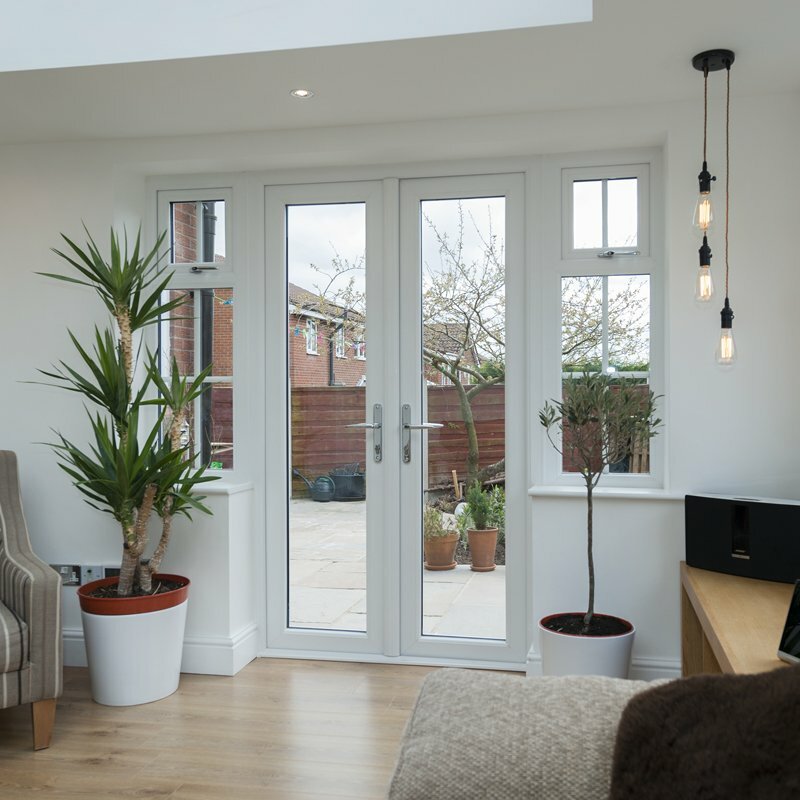 You can find out more about fitting uPVC French doors on our downloads page. How do you keep your french door prices so low? Just Value Doors continually strive to bring you "value without compromise" so keeping the cost of our glazed door low is important. However it's equally important to maintain quality in all our uPVC French doors for sale. We know our customers want cheap uPVC French doors, but they also want a set of uPVC double glazed French doors that are going to stand the test of time! 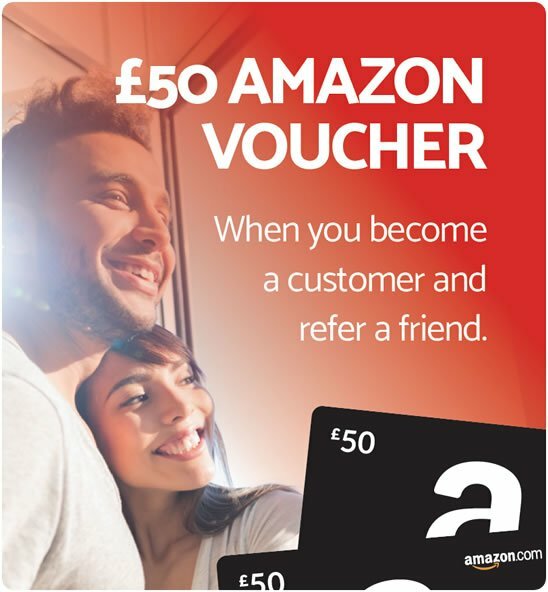 We use our buying power to negotiate the best prices with our quality suppliers to bring you the best value possible. Check out the collection of 17 stunning colours for yourself. If you would like to see a colour sample before purchasing your Victorian or Georgian style French door please don't hesitate to get in touch. What are french doors made from? A quality, made to measure French door will last for many years if maintained properly. Just giving the replacement French doors a wipe-over once a month and oiling the French door security locks and hinges will give you a trouble free bespoke French door to be proud of. Fitting french doors yourself or using a builder? 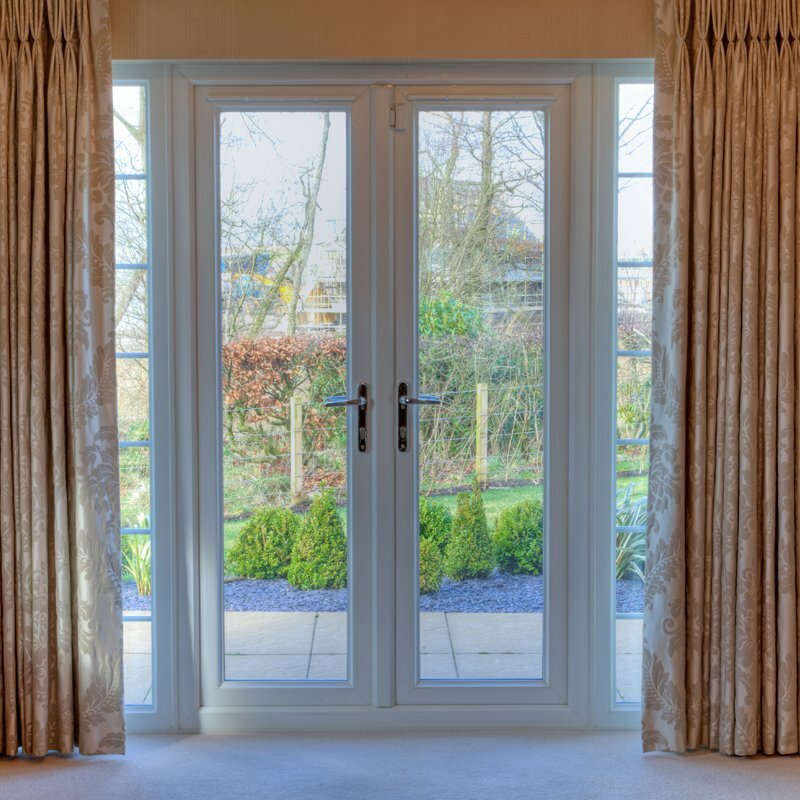 If you are taking on the project of fitting a French door we offer many door designs, and can also supply narrow French doors or small French doors if required. For guidance on fitting, see our fench door installation guide online. We also offer offset French doors and large French doors all available as made to measure sizes. So if you ready to buy French doors and have any questions please don't hesitate to get in touch with one of the team who will be happy to help.